The Conference Program and Abstracts Book are now available. Please also feel free to refer to our Schedule At A Glance for more information about the conference times and planned sessions. The conference will highlight the integration of empirical data and theory into the practice of team science. The conference will feature invited speakers, as well as submitted panels, papers, and posters. Breakfast, lunch, and refreshments each day, as well as a Networking Dinner on May 21, are included in the registration fee. The Team Science Training workshop will cover the status of the team science field and will feature two "tracks": Transformational Leadership Skills for Translational Science & Brainstorming for Innovation in Team Science. This field trip features a half-day visit (9am - 2pm) to the Galveston National Laboratory (GNL) on the UTMB Galveston campus. The GNL is a high-security National Biocontainment Laboratory. It is one of only two such facilities in the United States, and it is the largest one in the world located on an academic campus. 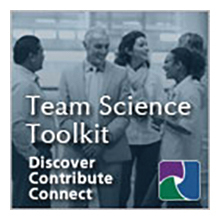 Its scientists and research staff exemplify numerous aspects of productive, innovative team science practice. Lunch and transportation from and back to your hotel are included. This field trip features a half-day visit (9am - 2pm) to the official NASA-Johnson Space Center visitors center involving many historical exhibitions, a tram tour of the JSC complex, Saturn VI rocket park, historic and new mission control, and an actual Space Shuttle exhibit. Lunch and transportation from and back to your hotel are included.